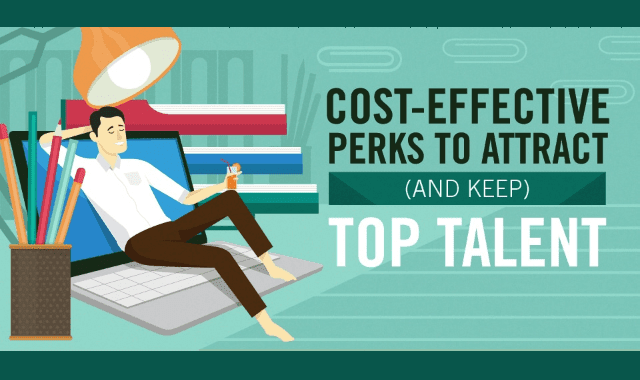 Cost-Effective Perks to Attract (and Keep) Top Talent #Infographic ~ Visualistan '+g+"
Though health insurance remains one of the benefits employees value most, companies are getting creative to attract top talent. Research shows that employees appreciate perks such as flex time, on-site childcare, well-stocked pantries, nap rooms, free subscriptions, and classes. Research also indicates that a growing number of executives are open to offering soft benefits.